1) Rollout of SVCE’s service will take place at a fast pace in three phases. Phase 1 will happen in April 2017, Phase 2 in July 2017 and Phase 3 in October 2017. The approximate number of GWh in each phase are 1100, 1750 and 595 respectively. 2) SVCE will set prices for electric generation at 1% below the price that PG&E will be charging in January 2017. Because electric generation accounts for only about 1/3 of a customer’s electricity bill (the other 2/3 are transmission and distribution charges), that means that SVCE customers will pay about 0.33% less than customers who opt out and stay with PG&E. The 1% figure will apply to ALL of the many rate schedules that are offered: residential, commercial, industrial, street lighting, agricultural, etc. 4) SVCE will provide as much Greenhouse Gas-free energy as it can while still beating PG&E’s price. There is no specific target at this time for how “green” SVCE’s power will be, but it is intended it will be significantly more GHG-free than what PG&E is providing in 2017. 5) Electricity used for city operations (streetlights, traffic lights, city-owned buildings of all sizes, etc.) will be included in Phase 1 of the rollout so that city governments can tangibly demonstrate their leadership and commitment to GHG-free electricity. 6) An Executive Committee was formed to work intensively with CEO Tom Habashi in between monthly meetings of the Board. 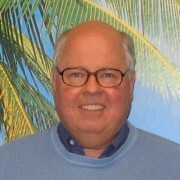 Its members are: SVCE Board Chair Rod Sinks (Cupertino), John McAlister (Mtn. View), Rob Rennie (Los Gatos), Daniel Harney (Gilroy), Liz Gibbons (Campbell), and Howard Miller (Saratoga). 7) There was support for offering “Early Enrollment” for households throughout the County if (a big if) such a program would not be too burdensome to implement. Expect to hear more on this next month or in August. 8) It was requested that Santa Clara County appoint an alternate director who can attend Board meetings when (as was the case last night) Director Joe Simitian was unable to be there. Director Steve Tate of Morgan Hill was absent and alternate director Anthony Eulo attended in his place. 9) No decisions were made at this meeting regarding where, geographically, the electricity that SVCEA will purchase will be generated. 10) The Board asked to receive information via e-mail in the next month on RECs (Renewable Energy Certificates). It was noted that a CCE program in the North Bay had received some negative publicity because of their use of RECs early in the program’s history. Presumably decisions about whether or not to purchase any unbundled RECs will be made in the next few months, after the Board feels that they have been thoroughly educated on the issue. 11) The decision about how exactly to spread the enrollments of residential customers across 3 phases, and do so efficiently and fairly, will need to be made at a future Board meeting. Peninsula Clean Energy and Silicon Valley Clean Energy, both newly formed, took substantial strides in recent weeks toward preparing their programs for launch. The nascent effort in San Jose is also moving down the tracks. 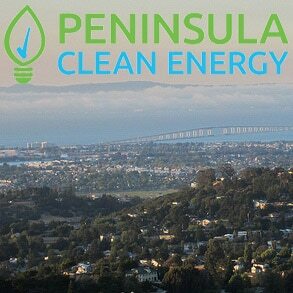 Peninsula Clean Energy (PCE), encompassing all twenty cities plus the unincorporated areas of San Mateo County, established its joint powers authority (the governance structure for the utility) in March. One of its board’s first decisions was to adopt a fast-track launch schedule that will start enrolling customers on October 1 of this year. To accomplish this rapid ramp-up schedule, in April they hired Noble Americas Energy Solutions to handle their data management services and call center. They also hired the marketing company Circlepoint to coordinate customer engagement. At its board meeting on May 12th, PCE’s chair, San Mateo County Supervisor Dave Pine, announced the hiring of Jan Pepper as the organization’s first CEO. Pepper has a long history of work in the energy field including serving most recently as the Electric Division Manager of Silicon Valley Power (the city of Santa Clara’s municipal utility). Previously she worked as Assistant General Manager of Alameda Municipal Power, was the president of three energy companies, and served as a member of the board of directors of the Power Association of Northern California. Currently she also sits on the Los Altos city council. The program will offer member cities the option to automatically enroll their residents and businesses into a default 100% renewable energy package. (The town of Portola Valley has expressed interest in this option and several other cities are also considering it.) Customers enrolled under this arrangement will have the choice of “opting down” to a less expensive, 50% default renewable energy package. It is currently estimated that customers living in average-sized residential homes who choose the 100% option will pay about $5 more per month than they presently pay for PG&E’s electricity. Although the program will launch in three phases over PCE’s first year of operation, residential customers who are enthusiastic about joining will be able to do so as “early adopters” during the first phase of enrollment starting October 1. PCE is encouraging the cities in its program to select the 100% renewable energy package for their municipal operations. Silicon Valley Clean Energy (SVCE), which includes twelve cities in Santa Clara County, held the second meeting of its board of directors on May 11. During the meeting the board formally selected Tom Habashi as its CEO. 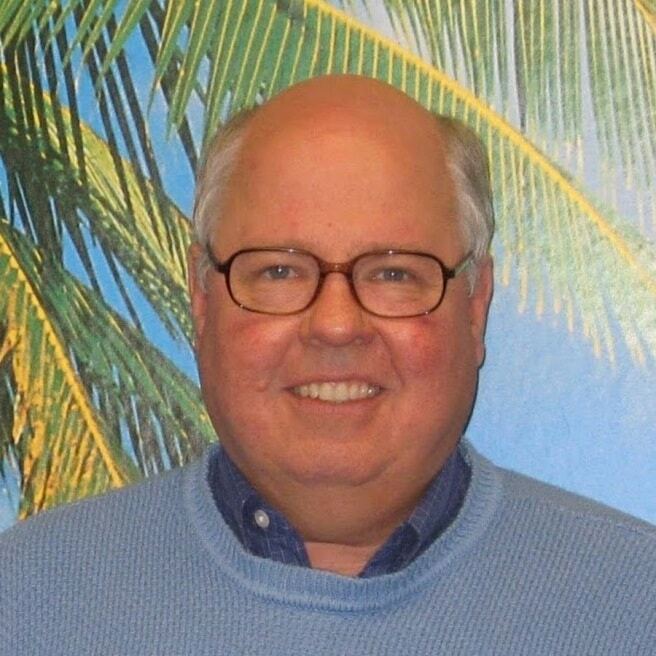 Habashi served, until recently, as the Director of Roseville, CA’s municipal utility for a dozen years and prior to that, he was Assistant Director of Resource Management for the City of Palo Alto Utility for 14 years. He will start work for SVCE later this month. Additionally, at its meeting, SVCE’s board selected Cupertino city council member Rod Sinks as its chair and Rob Rennie, city council member from Los Gatos, as its vice chair. SVCE is taking a slower path to starting their program compared to the fast track selected by Peninsula Clean Energy. The board has not yet established its default renewable energy package and will do so after the first of the year. Following that, they hope to launch their program on April 1, 2017. They expect to do so in three phases but have not yet set the timing of those phases, which could be between seven and nineteen months. To help the board make decisions on these matters, this summer they will conduct a survey of residents and businesses in their service area. In coming months they will also explore various start-up financing options. The City of San Jose has issued its Request for Proposal for their community choice energy program. Proposals are due on May 27. San Jose is seeking proposals from qualified firms to provide consulting services supporting San José Clean Energy, including development of a technical study and assisting with community engagement planning and implementation. To avoid conflict of interest, the city has decided that the consultant who works on the technical study will be precluded from submitting proposals or bids as a prime contractor or subcontractor for the program. The technical study is planned to be ready by the end of November 2016. Link to the RFP.